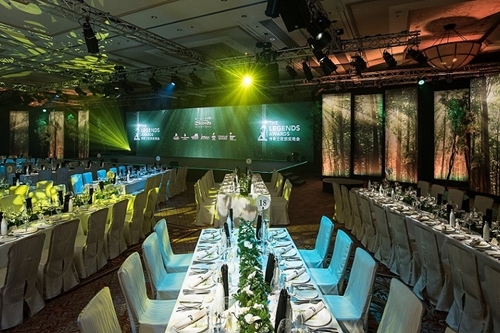 (Macao, Jan. 7, 2019) – Asia’s leading meetings and events destination Sands Resorts Macao will launch its new offer - ‘Meetings Beyond Imagination’ which features an array of value-added benefits to help event organisers create extraordinary events. To double the enjoyment of meetings and events at Sands Resorts Macao, this year’s offer provides extra privileges and benefits to delegates. Delegates who attend events booked under Meetings Beyond Imagination are also entitled to a range of dining, shopping and leisure offers available exclusively at Sands Resorts Macao. 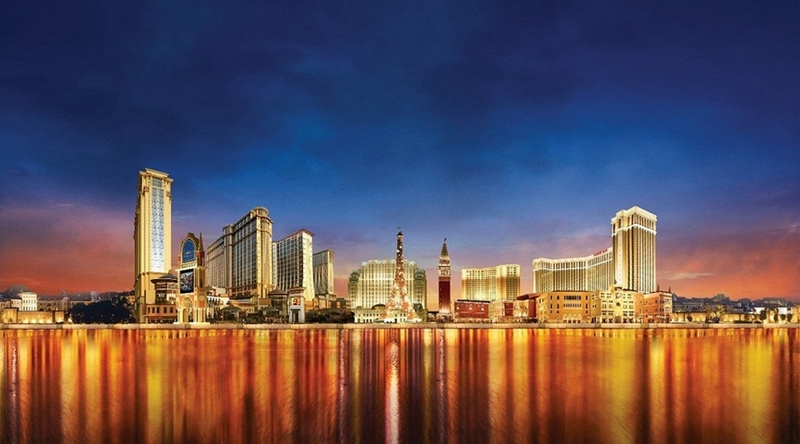 The 2019 offer is available at seven world-class Sands Resorts Macao hotels: The Venetian® Macao; The Parisian Macao; Four Seasons Hotel Macao; The St. Regis Macao, Cotai Central; Conrad Macao, Cotai Central; Sheraton Grand Macao Hotel, Cotai Central; and Holiday Inn Macao Cotai Central. The new offer is valid for meetings held between Feb. 11, 2019 and Dec. 18, 2020, and available to book from Feb. 11 to Dec. 31, 2019. Meetings Beyond Imagination allows event organisers to select from a wide range of offers including hotel accommodation and transportation, as well as entertainment and leisure all available all under one roof. Eligible event organisers can also enjoy special discounts on master bills that cover venue rental and banquet events at selected restaurants. With extra privileges and benefits including dining, entertainment, leisure and retail for delegates, Meetings Beyond Imagination ensures events exceed expectations in every way. With this comprehensive offer, event planners can book more rooms and enjoy double benefits at any Sands Resorts Macao hotel. 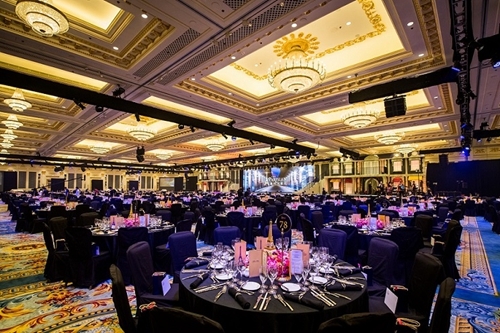 With more than 150,000 square metres of flexible meeting space including one of Asia’s largest ballrooms, Sands Resorts Macao is one of the most upscale and versatile destinations for events of any size. Professional planner services from dedicated sales, technical, conference and exhibition service teams oversee all elements of events from planning to execution and can leverage a host of activities and entertainment options to create memorable experiences for attendees. For event planners seeking a different experience, there are a range of attractive new options to suit every budget. The Venetian Macao recently completed the refurbishment of its Premio Royale Suites and Premio Bella Suites, which have been beautifully revitalised and reimagined, each at least 70 square metres, with a sunken living room, private bedroom and lavish bathroom. 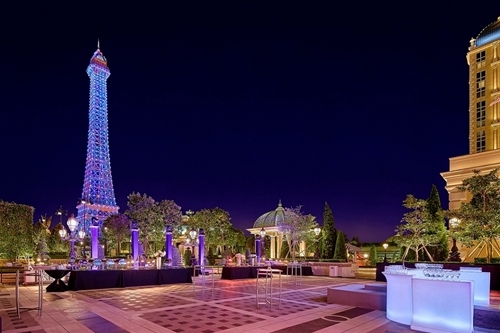 Meanwhile The Parisian Macao unveiled its stunning Champagne Suites which feature elegant touches of warm white stone and luxurious amenities, and overlook the Eiffel Tower and magnificent garden Le Jardin. With Macao named as a UNESCO Creative City of Gastronomy, there has never been a better time to explore Sands Resorts Macao’s award-winning array of great dining options, including Michelin starred and Black Pearl Restaurant Guide award winners. Signature restaurants include Canton and Portofino at The Venetian Macao, La Chine at The Parisian Macao and Chiado at Sands Cotai Central. Delegates will appreciate the quality and diversity of Sands Resorts Macao’s wide range of cuisine as well as a 20% discount on dining at selected restaurants, while for organisers opportunities exist to host private events at restaurants with 5% off special offer. Sands Resorts Macao can tailor-make a truly exceptional range of entertainment experiences for groups of all sizes, taking advantage of our in-house entertainment resources to create extraordinary client events. 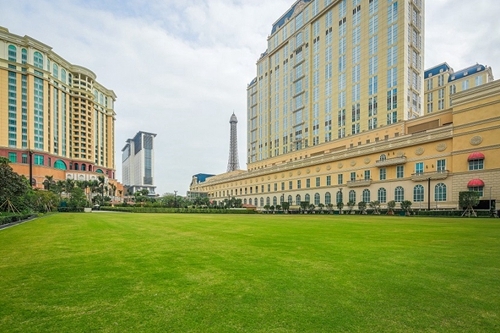 Before, during and after meetings, delegates can enjoy numerous activities at Sands Resorts Macao properties, including multi-functional venues and diversified in-house entertainment offerings, three theatres and the 15,000-seater Cotai Arena, along with the stunning half-scale Eiffel Tower, Streetmosphere and Gondola rides. Delegates can also indulge in some retail therapy at one of 850 duty free stores throughout the resorts. Beyond Sands Resorts Macao, Macao is also well worth exploring, offering the UNESCO-listed Historic Centre of Macao and many architectural landmarks blending Portuguese and Chinese cultures. With over 120 airlines flying to 220 destinations across China and the Asia-Pacific region via Hong Kong International Airport, just one hour by ferry, and the new the Hong Kong–Zhuhai–Macao Bridge, Macao is very accessible from all over the region and beyond. Sands Resorts Macao’s own Cotai Water Jet fleet of ferries and dedicated company coaches can also be chartered for group up to 400 people. With Sands Resorts Macao just 10 minutes from Macau International Airport and Macau Taipa Ferry Terminal, getting here couldn’t be easier or quicker. With a superb range of facilities, event planners should look no further than Sands Resorts Macao as the ideal meetings and events destination. Call +853 2882 8800, visit Meetings.SandsResortsMacao.com or email sales@sands.com.mo to book Meeting Package 2019 at Sands Resorts Macao. Photo caption:Conference organisers and event planners can take advantage of Sands Resorts Macao’s Meetings Beyond Imagination, with a range of attractive discounts and entertainment and leisure activities only available at the leading integrated resort.